From the one day of snow that we’ve had in Hampshire during the winter. 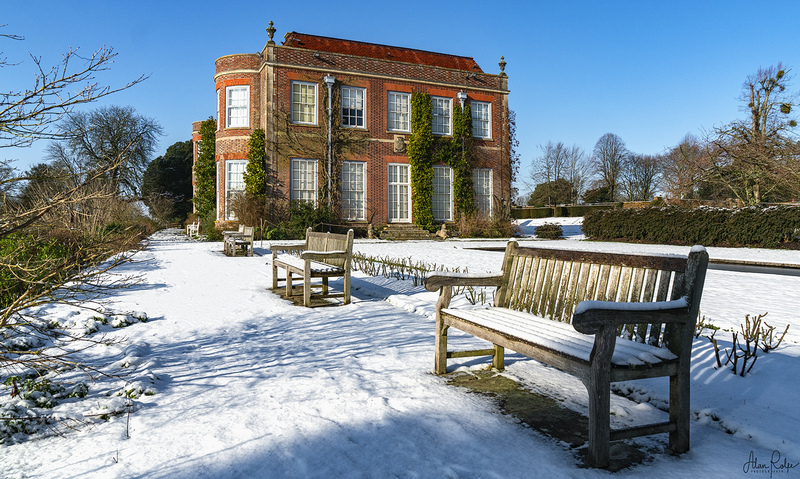 This is the National Trust’s Hinton Ampner. The church in Bursledon can trace its history back to the last half of the twelfth century, from both architectural evidence present in the building, and documentary sources. In the twelfth century St. Leonard’s would have been a simple, small, stone church of nave and chancel, similar to thousands of village churches being built across England at this time. We are very fortunate that the foundation charter for this church still survives; permission was given to the monks of Hamble Priory to build a chapel here some time between 1129 and 1171. The charter tells us that, before this church was built, Bursledon’s ‘mother church’ was at Bishop’s Waltham. This would have been quite a journey for the faithful on every Sunday and Holy day; no wonder then that the charter states the reason for St. Leonard’s construction was for the ‘convenience of the parishioners’. 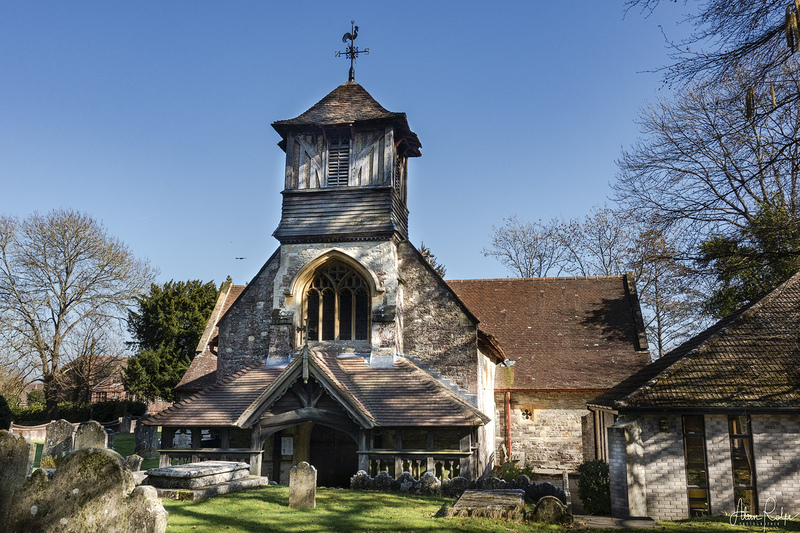 Even after the monks had built a chapel here, parishioners were obliged to still make procession to Bishop’s Waltham twice yearly, and to keep paying certain alms and tithes to their old mother church. All churches can be given a ‘date’ by the styles of architecture they contain: St. Leonard’s has features that seem to confirm that it was indeed founded in the later twelfth century. The simple elegance of the Chancel Arch, dividing the nave from the raised area at the east end of the church, is of early English style and can be dated to 1190-1300. The font is perhaps earlier and, although unfinished and retooled in places, it is of transitional style dateable to 1160-1190. The blocked doorways in the nave, presumably once the main access points for monks and congregation before the Victorian extension, date to the twelfth and thirteenth centuries. The small lancet window in the chancel, although restored in 1888-9 is of a thirteenth-century design. Once St. Leonard’s had been completed, it would have been a prominent landmark for the large numbers of people who depended upon the River Hamble for transportation and employment. Rivers such as this were the lifeblood of the economy, the ‘motorways’ of the past, and very many ancient churches are founded close to them, for ease of access and also perhaps as a visible reminder of the central place that God and the church had in everyday life. It is only in the last century that tree growth has come to obscure a view of St.Leonard’s from the river; the Earl of Southampton’s map of about 1610 clearly shows Bursledon church as the most prominent building in the settlement.